What is Social Impact Investment? 620 million people in sub Saharan Africa live without access to electricity and the impact on these families’ lives is tremendous. 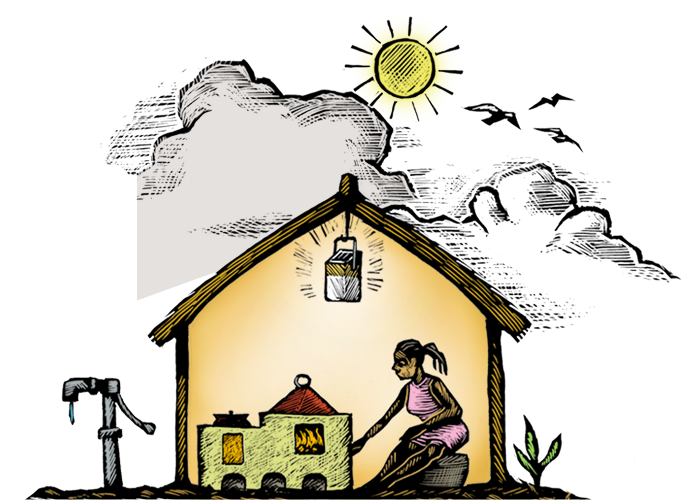 Solar light kits are a cheap and obvious solution to some of the challenges faced by these families. Traditional lamps are lit by kerosene, the fumes of which are quite toxic in enclosed areas such as the mud huts common in East Africa, and are also highly flammable. Eye and respiratory illness is very common in families which rely on Kerosene as a source of lighting. It is also relatively expensive for a family and can cost up to €50 a year, in places where sometimes the average income is less than €1 a day. The solar lamp kits that Vita is investing in cost about €30 each and so will pay for themselves in a matter of months. They are very robust and can last for many years. The money saved can be diverted into health, food and education. Each solar kit consists of two lights and a mobile phone charger, which connects even the most rural families to the outside world. Having access to solar lights means that children can study in the evenings in a safe, clean environment, while women can support themselves with small scale enterprises such as handcrafts. In Zada, Southern Ethiopia, a selection of solar lights were trialled before the most appropriate one was selected. Vita’s Tadele Girma is shown demonstrating one of the models to local farmers.